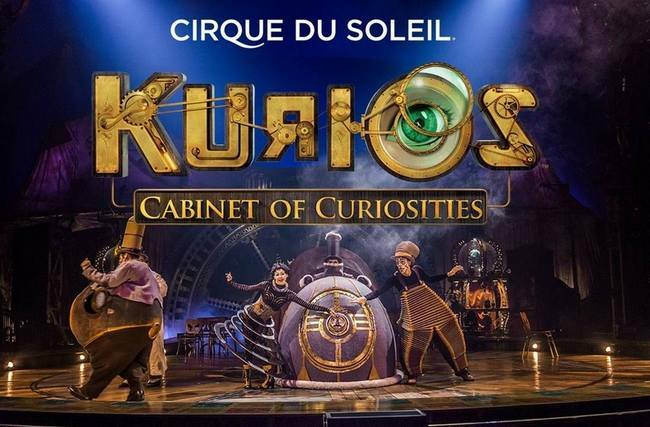 Get 2 FREE Tickets to see Cirque du Soleil's Kurios in Miami! Become a Corporate or Corporate Partner member of the Miami-Dade Gay & Lesbian Chamber of Commerce (MDGLCC) before November 15th and receive 2 tickets to see the Cirque du Soleil’s “Kurios Cabinet of Curiosities” under The Grand Chapiteau @ Hard Rock Stadium between December 10th, 2016 and January 8th, 2017. A value of $170! Offer is limited to the first 8 new members who fill an application and provide full payment. To take advantage of this offer please call the MDGLCC at 305-673-4440. “Kurios Cabinet of Curiosities” is a mysterious and fascinating realm that disorients your senses and challenges your perceptions. Step into the curio cabinet of an ambitious inventor who defies the laws of time, space and dimension in order to reinvent everything around him. Suddenly, the visible becomes invisible, perspectives are transformed, and the world is literally turned upside down.